Win £1,200 Worth of Robert Dyas Vouchers! This Christmas we’re giving you the chance to win a whopping £1,200 worth of Robert Dyas vouchers! 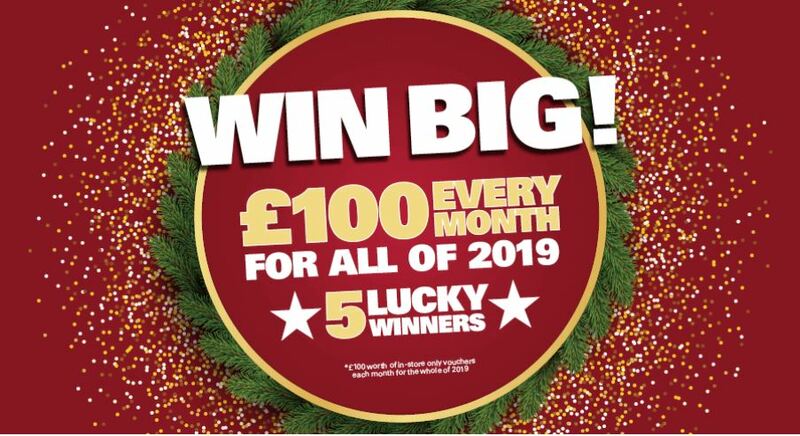 That’s £100 of in-store vouchers every month of 2019… for FIVE lucky winners! To take part, all you need to do is fill in a form in store and tell us which Robert Dyas product would make your Christmas complete. The competition will take place from Saturday 1st to Monday 24th December. This press release was distributed by ResponseSource Press Release Wire on behalf of Robert Dyas in the following categories: Children & Teenagers, Men's Interest, Health, Leisure & Hobbies, Home & Garden, Women's Interest & Beauty, Consumer Technology, Food & Drink, Retail & Fashion, for more information visit https://pressreleasewire.responsesource.com/about.